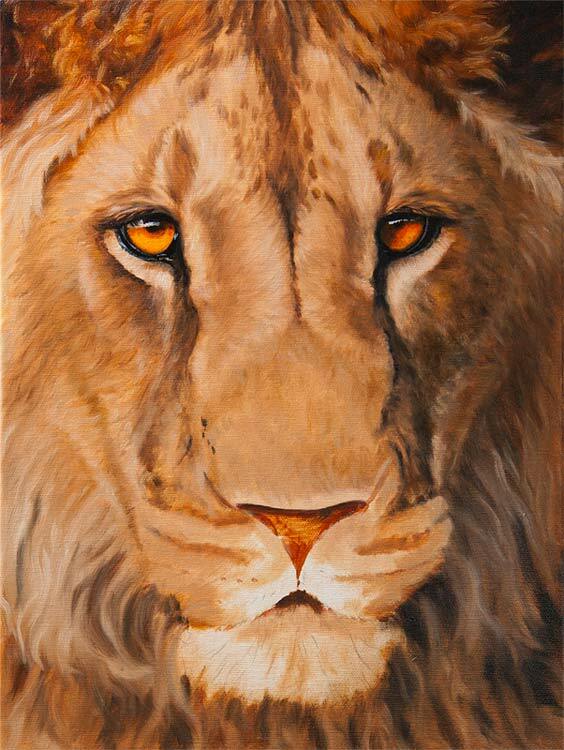 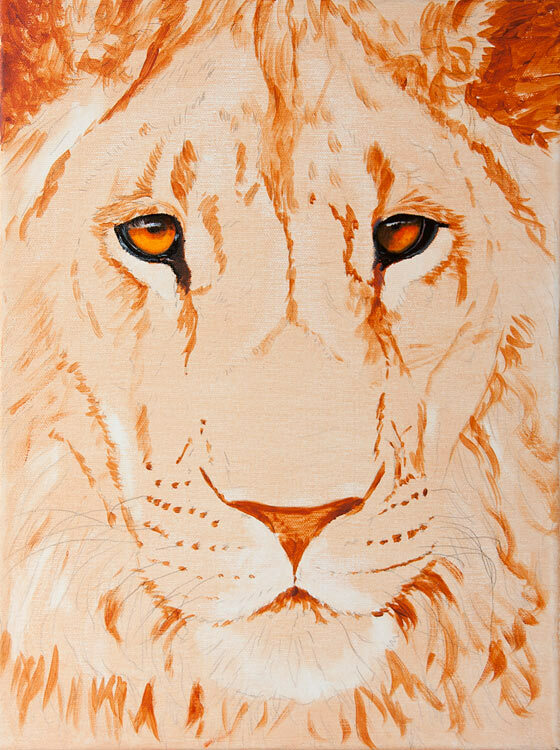 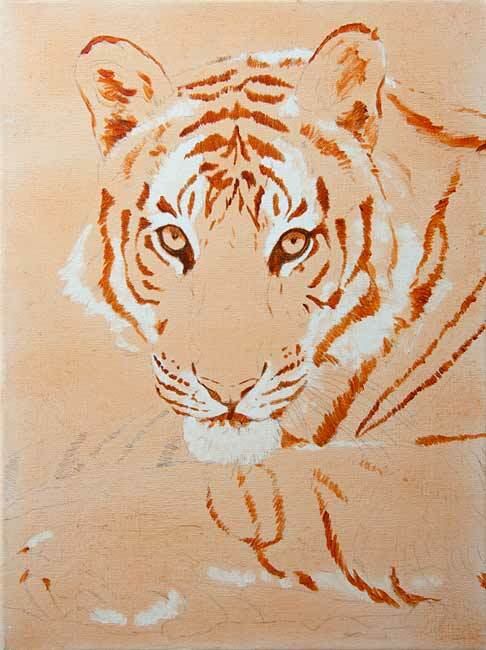 I have only roughed in the initial tonal painting using my standard Burnt Sienna acrylic paint. 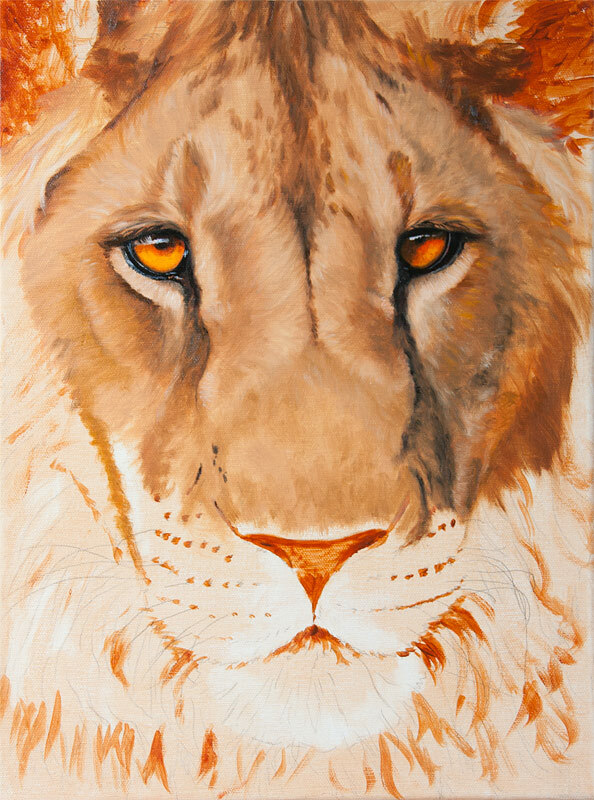 Next up will be the background. 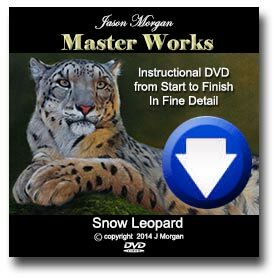 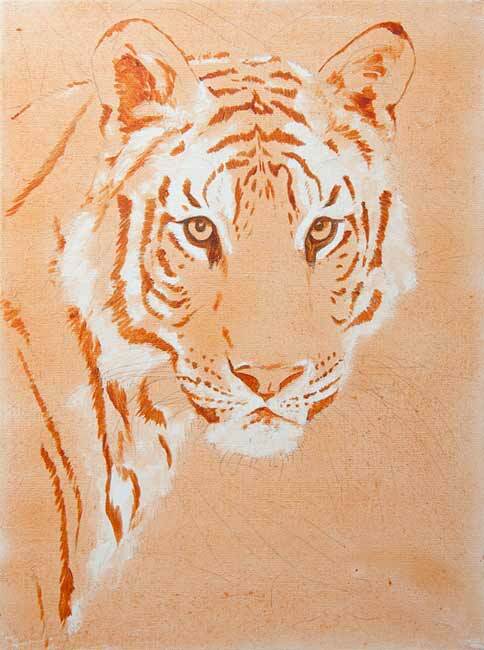 Along with the Lion painting that I am just finishing off I have two Tigers paintings that I am just in the very 1st stages of starting. 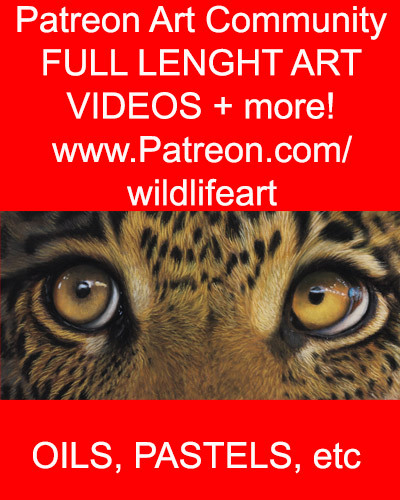 The canvas size is 16 x 12in and I am using some great wild references photos from the collector who has commissioned these two paintings. 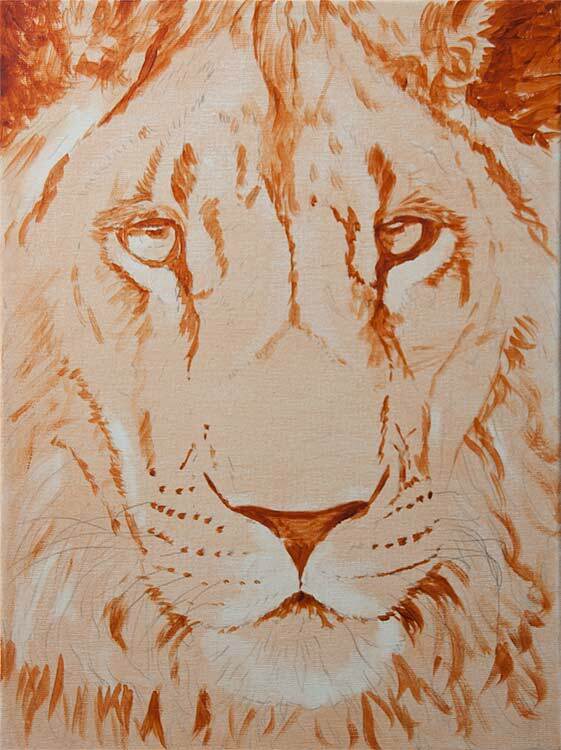 Here I have only roughed in the initial tonal painting using my standard Burnt Sienna acrylic paint. 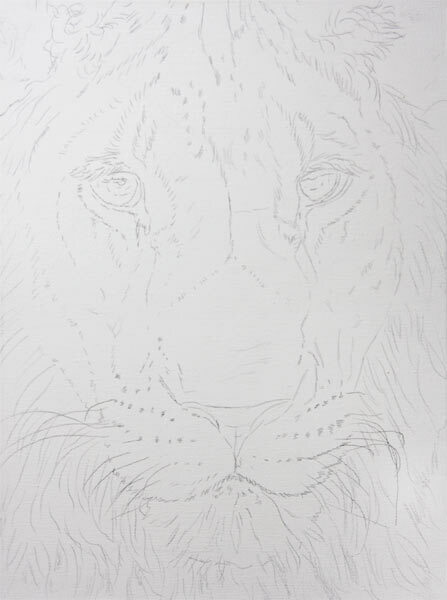 Next up will be the background.